Ilaria asked me to photograph her Summer Wedding at Nonsuch Mansion in Surrey after she saw my photos from a friend’s London wedding last year. It’s the first wedding I’ve photographed at Nonsuch Mansion, and I thoroughly enjoyed using the fantastic light there and great architecture. The mansion dates back to the 18th Century and is built near to the ruins of King Henry VIII’s palace, surrounded by Nonsuch Park. 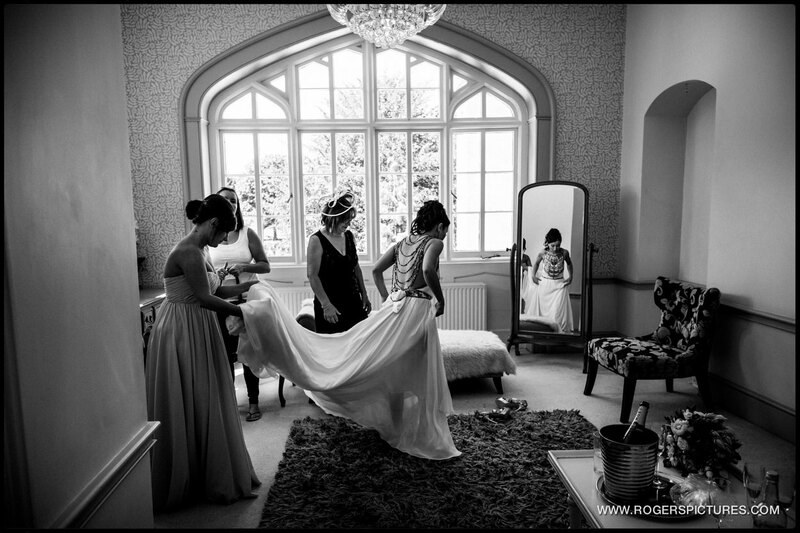 I began my coverage with the brides final preparations with her bridesmaids in a light and airy room, a photographers dream! Whilst the guests arrived I also managed to shoot a couple of portraits with the groom and best man, and capture some of the little details that Ilaria had prepared to dress the venue. A string quartet played as Ilaria entered the room for the Civil Ceremony and then the guests joined the newly weds in the sunshine outside. 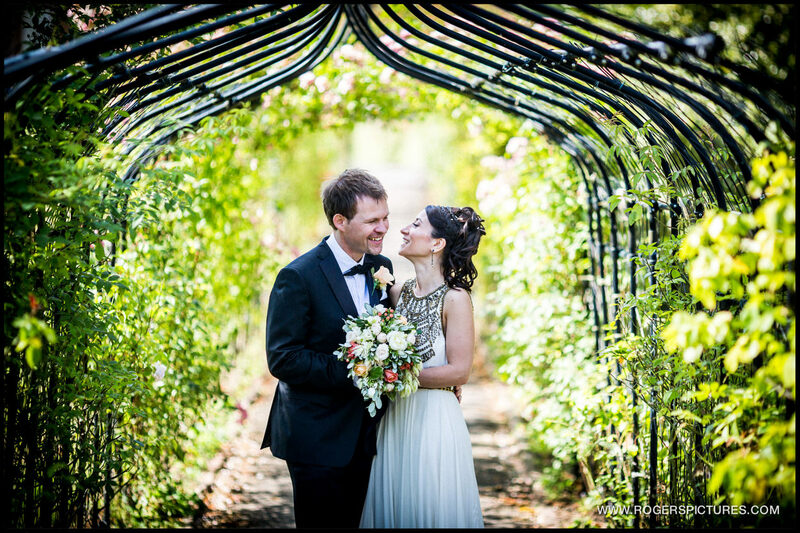 We used some of the beautiful gardens for some portraits before returning for the wedding breakfast where Ilaria had put together some word search puzzles. Following the speeches and toasts, there were garden games on the lawn and then the cake cutting. 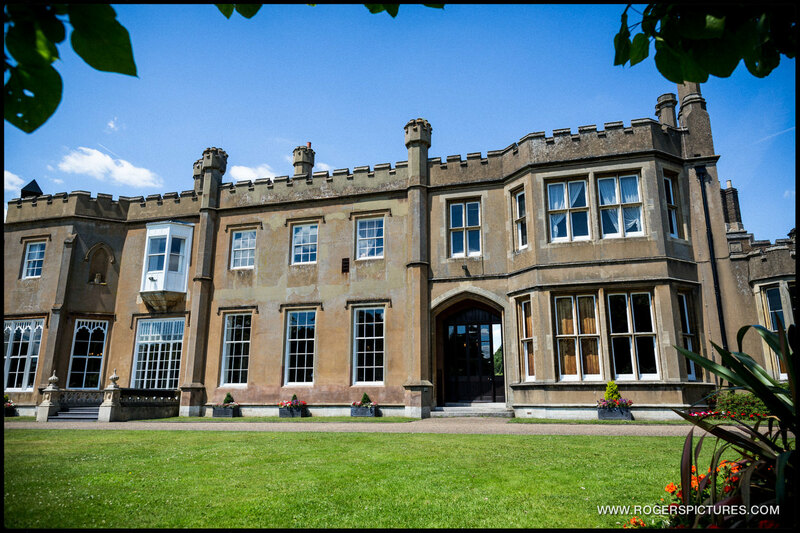 Nonsuch Mansion is a gem of a wedding venue with tons of charm. 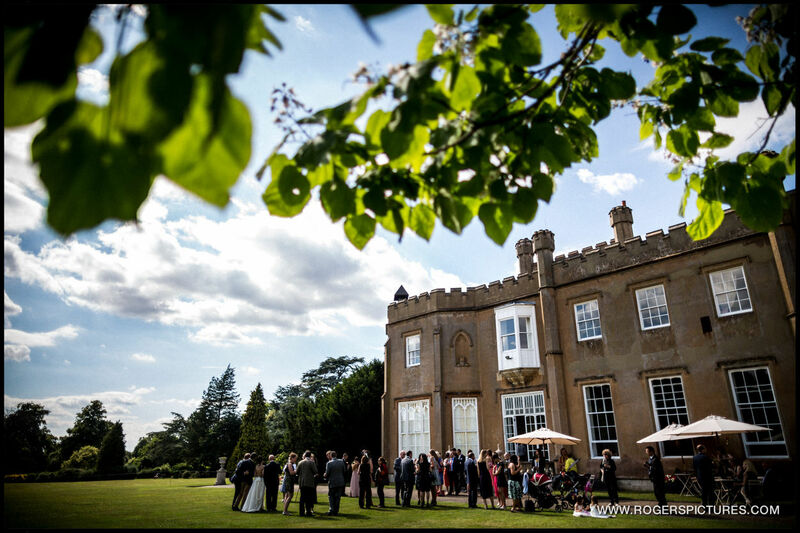 If you’re looking for a Nonsuch Mansion wedding photographer, send me a message to check if I’m available and to find out more about my photography. You may also be interested in some Buxted Park wedding photography. Or maybe this Priory, Little Wymondley wedding photography.